As genuine islanders, we design bespoke island experiences that will inspire you to fulfill your island fantasies. Where to go? Stay in a centrally located swanky hotel or experience the city as locals do? Surrender to total relaxation or submerse yourself in adventure?Here is where we come in! We craft bespoke luxury travels by hand-picking gorgeous hotels nestled in luxuriant jungle, charming beach shacks, refined and street cuisines, an encounter with locals, off-the-beaten track adventures, and curated itineraries. 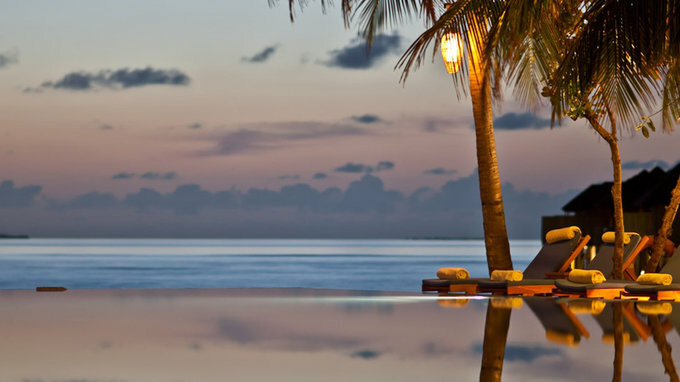 We only choose the best of what the Indian Ocean has to offer. All our hotels and experiences received the remarkable notation of 4.5/5 on TripAdvisor, the world-renowned traveller review site.Each trip is tailored to fit your idea of wanderlust. In other words, we are a travel agency re-imagined. Our itineraries are imagined by our team of travel designers who love nothing more than unearthing new haunts, sampling a staggering diversity of foods, and sharing the culture and history of the islands of the Indian Ocean region. Our aim is for you to experience the country as locals do and submerse yourself in all that you experience. Your trip will be nothing short of amazing. We promise. Designing an itinerary is a creative process. You have to do your research and find inspiration. I love the relationships you build with clients and our contributors. The combination of culture, history, arts, people and chill islands seems like the perfect trip to me. When I design a trip, I try hard to put myself in the traveller’s shoes. Islands are special because they are like a microcosm of the world. There is nothing I love more than to use my knowledge of places to conceive a memorable trip. The kindness of the people in the islands amazes me. These are places where one takes the time to reconnect, with oneself and with the others. Traveling gives me the feeling of living ... traveling to the islands gives the feeling of living in a dream. How lucky am I to live in a place where it's hot all year around! I think that it’s that heat that gives such a warm heart to those who live in the islands. Islands have this magical appeal that make you feel you are living a dream, and my responsibility is to sell these dreams. I could not dream of a better job. Traveling delivers a triple pleasure: the excitement of the preparation, the joy of the dazzling discovery and the memory of moments shared. To travel is to enrich oneself from the inside, with memories and moments that mark a life. We can dust the sand off our feet but not from our soul. Our commitment to sustainability reside at the heart of our Islandian experience. As we really do care for our islands, we support and collaborate with various associations and institutions dedicated to the respect of our coast. 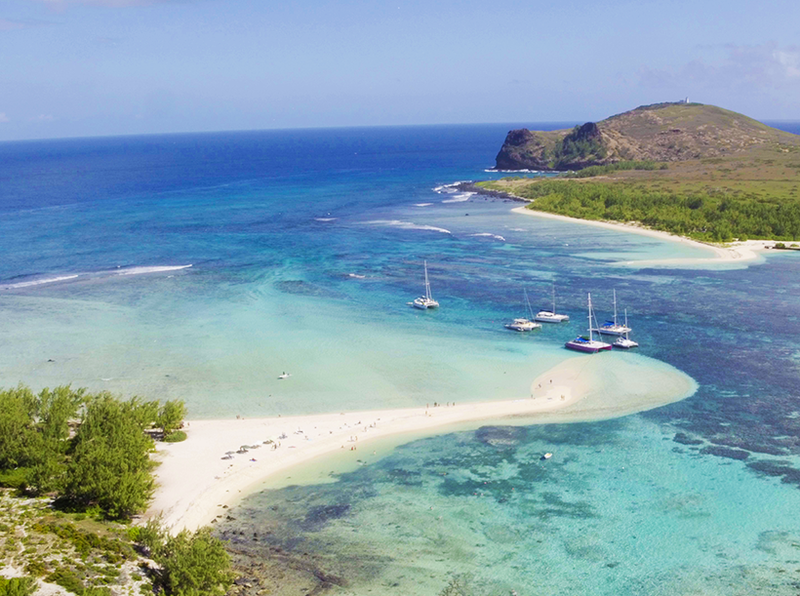 Islandian, as a subsidiary of Rogers Group, is engaged in the protection of the Mauritian coastal environment, contributing with 1,5 million euros for the strategic process of its Corporate Social Responsibility until 2023.The sustainability strategy concentrates the action plan on Bel Ombre coastline, situated on the South coast of the island. In order to change the Mauritian’s behaviour, the strategy consists of sensitising, educating, networking partners before taking actions. Through the Bis Lamer, Bel Ombre Pedia and Beach & River clean ups, Islandian uses the allocated funds in line with the Group’s focus regarding the implementation of various activities. To make sure your escape is unforgettable for all the right reasons, we pride ourselves in moving a step further than the rest. For you, we designed #IslandianPlus. This hashtag is the summary of what you are looking for: hand-picked 4 to 5 stars’ accommodations located in the heart of the Indian Ocean, worldwide flights and tailor-made local experiences at exclusive rates. Our offers have something unique and different, something extra! 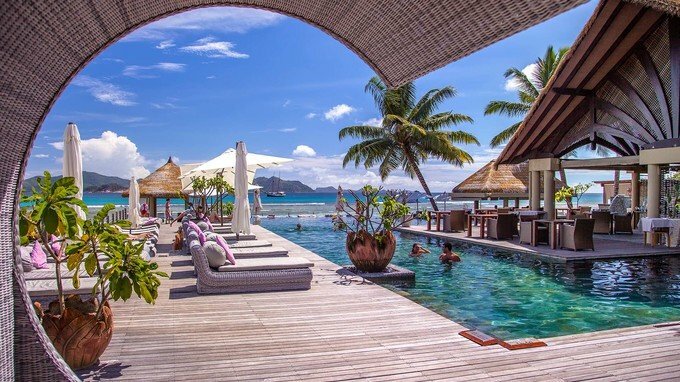 At any time of the year, create your personalised honeymoon trip or wedding anniversary with the recommendations of local experts. And what better way to say Yes I do than under the tropics? #IslandianPlus answers your precise needs by making sure your time away is perfectly planned. Let us imagine your next escape!